By Mark Hall. Published by Thomson West. 2011. 3rd edition. By Barry Furrow. Published by Thomson West. 2014. 3rd edition. 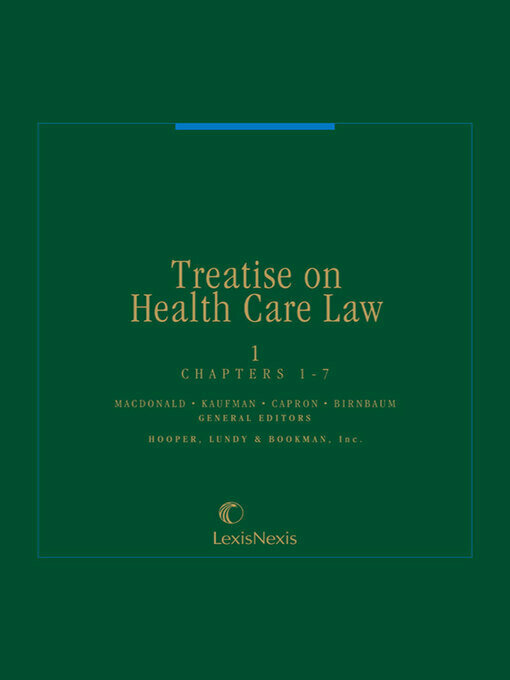 This two volume treatise is designed to be a reference to both practitioners and those within the health care industry. Coverage includes tax exemptions, licensing of health care professional, tort liability, antitrust law, abortion, Medicare and Medicaid fraud and abuse, and regulation of research upon human subjects. Extensive citations are provided to case law, statutes, and regulations. By Karen L. Goldsmith. Published by American Health Lawyers Association. 2005. 3rd edition. This book by Nolo helps readers find information on long-term medical care and financial planning. Long-Term Care helps readers understand the range of available choices helping them to explore options for home care, assisted living and nursing homes, maximizing Medicare, Medicaid and veterans' programs, and preventing elder fraud. By James G. Hodge. Published by Thomson West. 2014. 1st ed. 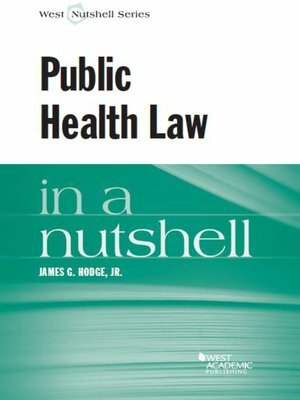 Public Health Law in a Nutshell explores the essential nature and role of law as a tool to prevent negative health impacts and promote positive health outcomes through public and private efforts across communities within the United States. By Michael Macdonald. Published by Lexis Nexis Matthew Bender. 1991. 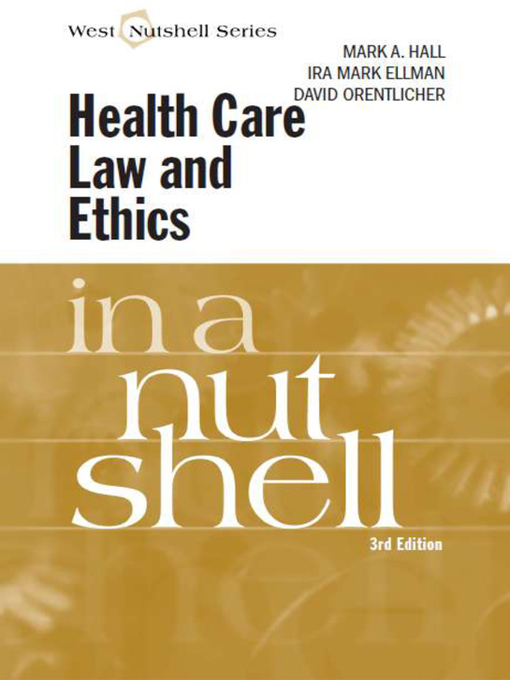 This comprehensive five volume set covers a range of health care legal issues. The main topics covered include corporate organizations, contracts, compliance programs, taxation, labor issues, payment systems, Medicare and Medicaid, managed care, antitrust law, medical records, patient information, and mental health law. This set also included extensive citations to statutes, regulations, and case laws as well as a state-by-state comparison chart.